RAELIN’s first AERC 50 mile ride, is in the books. 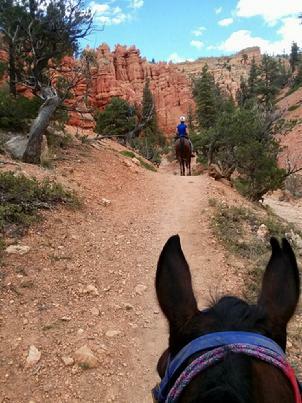 She handled the Bryce Canyon "Blue Fly" trail like a pro. 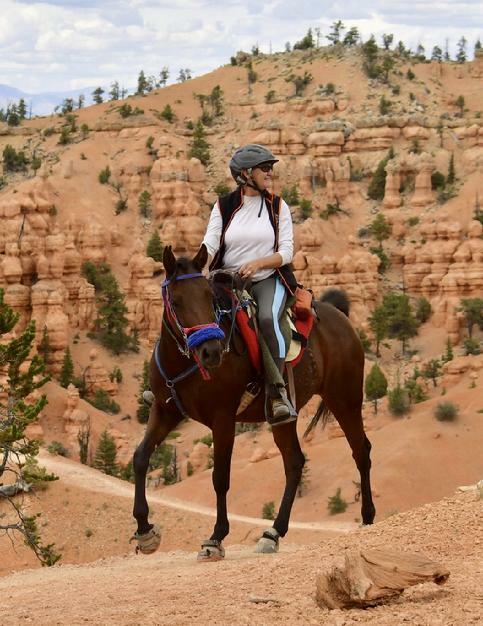 And in a hackamore! Thank you Barbara Fredy for taking such great care of her today! Thank you to Steve Bradley for the great photos. 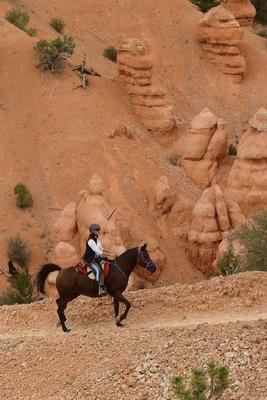 RAELIN is a five year old *KS RUBIN daughter, and a purebred Shagya-Arabian mare. RAELIN is SCID / CA / LFS Clear. 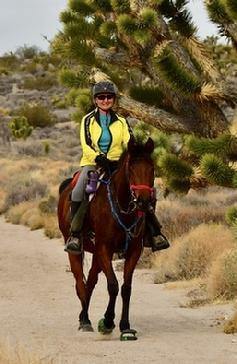 RAELIN - 2013 *KS RUBIN daughter, with Barb Fredy, at RAELIN’s second AERC ride (Eastern Mojave 30). 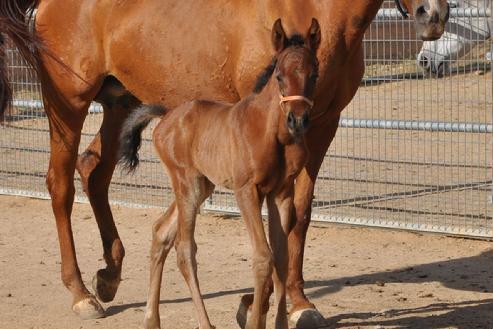 RAELIN is out of the race winning purebred Polish/Crabbet Arabian mare, TRULY FLAMING 3/11(3-2-1-4) $12,969 . TRULY FLAMING is sired by the IBN KONTIKI son, FLAMING TIKI 4/35(8-4-10)0-1), and is out of the PORT BASK daughter, MHR BRAVA.